Did you know you should be cleaning your makeup brushes at least once a week? This is so important in preventing skin infections and more commonly helping keep you skin free from bacteria that can cause spots, acne and blemishes. 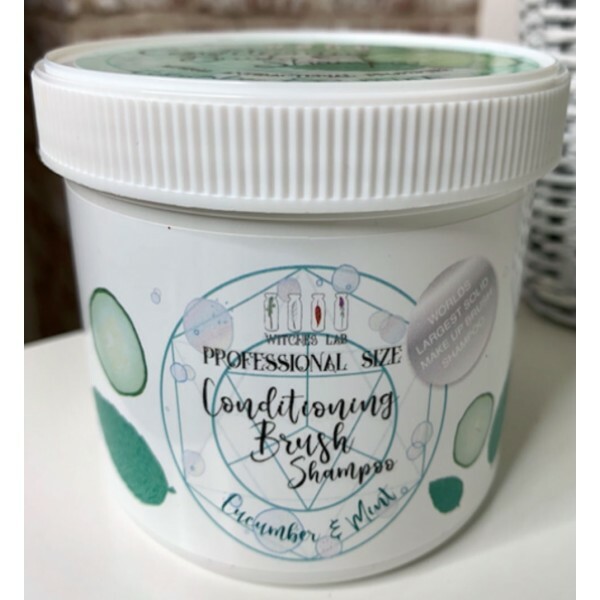 Our HUGE 500ML tub of professional conditioning brush shampoo has been getting rave reviews with those who have tried it so far ! It is the biggest solid brush shampoo on the market. 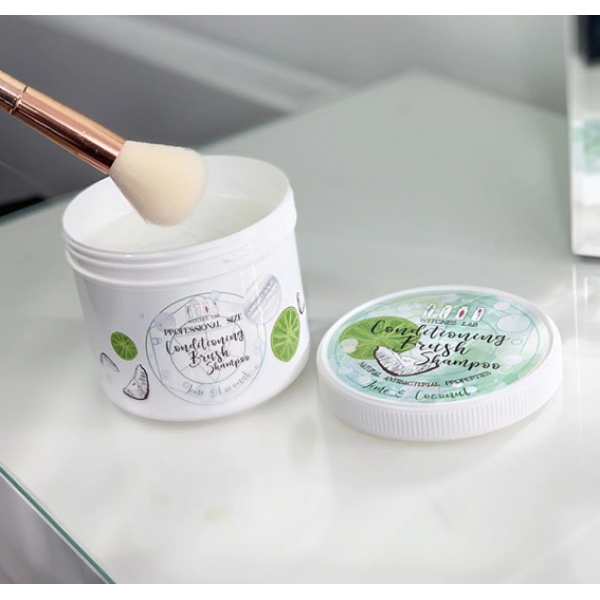 This 500ml tub contains organic and vegan friendly ingredients and is SLS and paraben free. The Cucumber and Mint with a dash of tea tree oil are naturally Anti-bacterial. 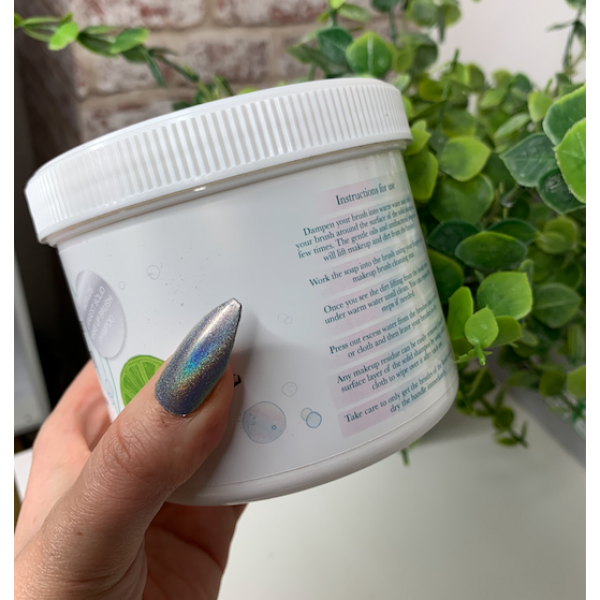 Your new Solid brush shampoo will last you a long time whether you are a makeup artist washing your brushes extremely regularly or a makeup enthusiast washing weekly.